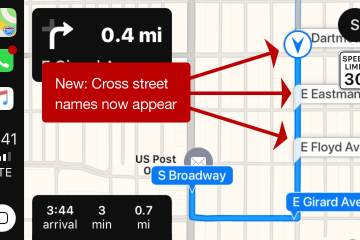 Apple Maps’ 3D button works great in the few areas it works. For a tech nerd like me with a passable map fancy, Apple Maps’ 3D view is really cool. I mean, who doesn’t want to see buildings rendered in surprising detail as you move between them. It’s just cool. The trouble is, few places in my city are rendered in 3D. A mile from downtown Denver, on Lincoln (major thoroughfare) nothing got 3D-ed. It takes literally being at the center of the city to get some 3D-ness. How is your city? Feel free to contact us using the “Submit a Tip” section on the right (on desktop) or at the bottom (on mobile). Confusingly, the 3D button isn’t always available. In fact it’s nearly entirely absent, whether you’re following a route or just watching your position. 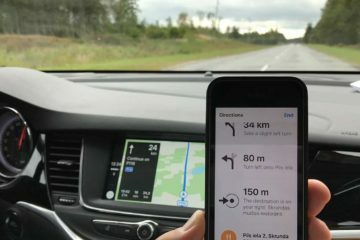 Are speed limits notifications disappearing? 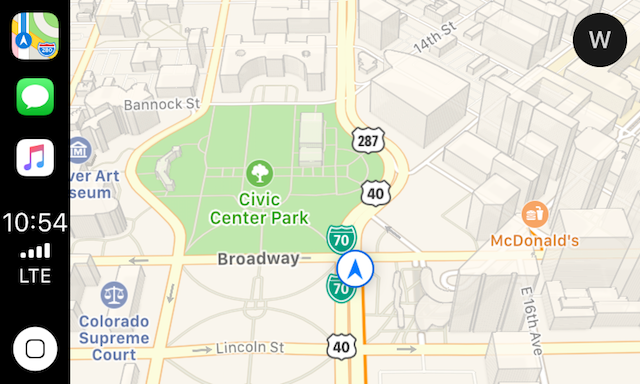 Seemingly at the same time that iOS 12 debuted, the frequency of speed limit notifications in Apple Maps seems to have gone down. On arterials where I used to see them often, they no longer appear. 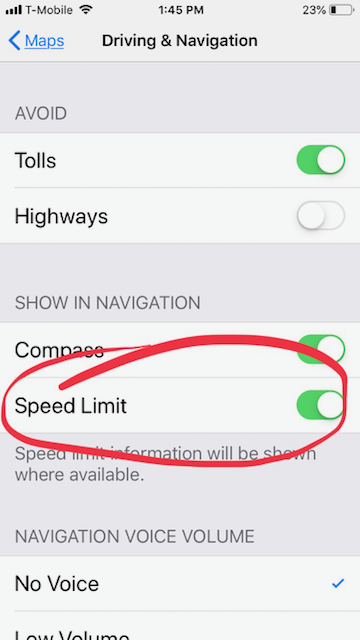 I have and have had “Speed Limit” selected in Settings -> Maps -> Driving & Navigation. It was so bad I actually checked that. 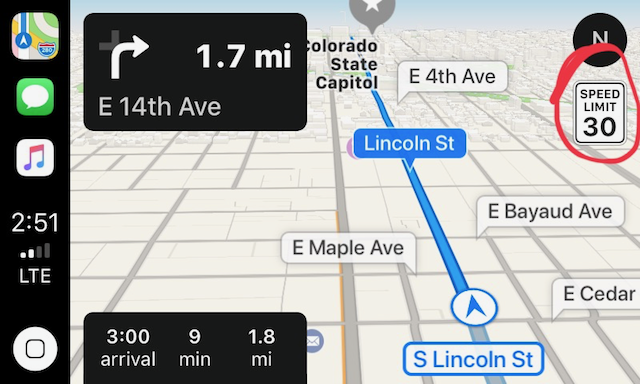 And looking for some sort of objective metric for this report, looking through the last 6 weeks of CarPlay screenshots (of which I have about 100% more than the average iOS user) I see a much smaller percent that have a speed limit badge than I did before iOS 12. Hm. We’ll keep an eye on this moving forward.